Chinese food therapy holds the belief that beef is a warming food. It warms the stomach, which makes it especially well-suited for cold winter months. Often times, people are reticent to prepare beef at home because it can be expensive; therefore, a mistake in cooking beef has the potential to be a costly mistake. Luckily, as with all of our recipes, we’ve simplified the cooking process and prepared fool proof instructions for perfectly cooking beef at home. Check out these three belly-warming beef dishes. Few people in this world know how to fend off the cold like the Swedes. Between their cozy, stylish turtleneck sweaters and warming Swedish meatballs, they could easily survive the next ice age. Sadly we can’t help you procure a turtleneck, but we can provide you with a recipe for meatballs that’ll impress any Stockholm chef. A piping hot bowl of soup is another surefire way to keep the shivers at bay. If this sounds like your cup of tea…I mean bowl of soup…try our gyudon recipe! 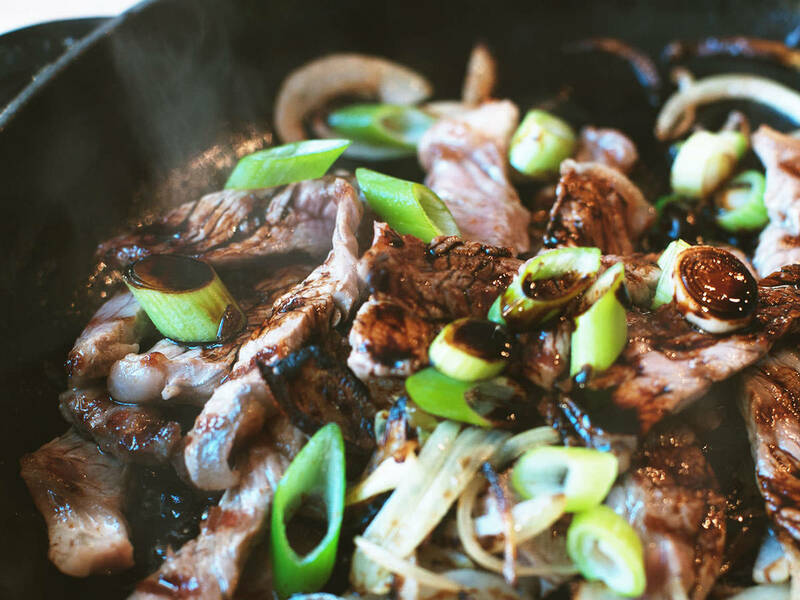 The combination of rice, beef, soy sauce, mirin, and oyster sauce is a total palate pleaser. And finally, we’ve got something special for all of you Korean food fanatics—Korean barbecue with Sam Jang dip! Thin slices of marinated beef, seared in a hot pan, and paired with piquant kimchi and pickled gherkins. Try it now and thank us later. Check back often for our carefully curated recipe collections!